How T.G.I.F are we this week? I'm celebrating Friday with a floaty, flippy skirt and hair (thanks, Mario Russo salon for the blow out!). 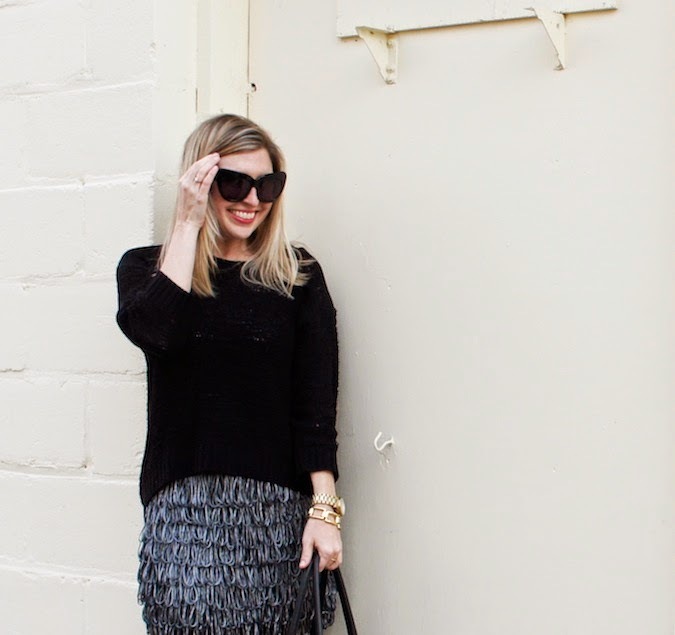 They are both all season favorites - I love this skirt in the summer with a simple tee, and in the winter layered with tights, over-the-knee boots and a chunky sweater. And the good folks at Mario Russo know how to craft a beautiful blow out: beachy waves for the summer, and piece-y, volume pumped locks for February!